This weekend I spent in London. Yesterday would have to have been by anyone's estimation a dream day for one in the field I am in. We (myself and my Pastor, Dave Schutter, who is studying for his ThM at London Theological Seminary) visited the British Library. 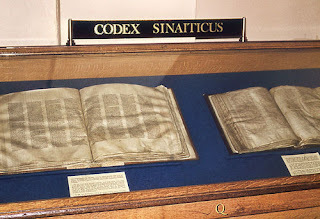 While in the BL we observed the Codex Sinaiticus and Alexandrinus. Upon the CS we observed first hand the correctors noted in Nestle Aland and I was able to discuss with Dave the nomina sacra. The nomina sacra are abbreviations for divine words (God, Jesus, Christ, etc. ), or words with divine attribution (son, when referring to Jesus, and spirit, when in reference to the Holy Spirit, etc.). I could have owned my very own Codex Sinaiticus facsimile for an inexpensive 489 GBP (almost $1000). I passed, since as you will see it is fully online with amazing tools that the facsimile does not come with, though impressive! After this, Dave and I went to the British Museum. Dr. C. John Collins had promised our Prophets class at Covenant Seminary (many times!) a free tour of the British Museum if we would just pay his way. What an offer! We never took him up on it, however. But yesterday I was able to witness the great collection artifacts from the the times of Isaiah and the prophets of the OT; artifacts from Assyria and the rest of the Middle East from the 9th to the 6th centuries BC. 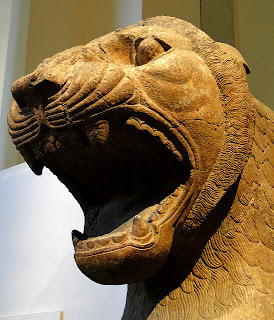 It was amazing to think that these very artifacts could have been the guardian tigers that the Exiles saw before entering the great cities of the Middle East. Next, Dave and I attended Evensong at Westminster Abbey. It was a beautiful service of worship. The choir and the organ were breathtaking, and the historical and amazing worship space only added to the splendor. After the Evensong, Dave and I spoke with the Dean (I believe). Through our conversation he found that we are Presbyterian ministers and the we have a vested interest in Westminster. He offered to take us into the Jerusalem Chamber. Of course, such an offer is rare and should stay on the 'down low', but I could not resist sharing! 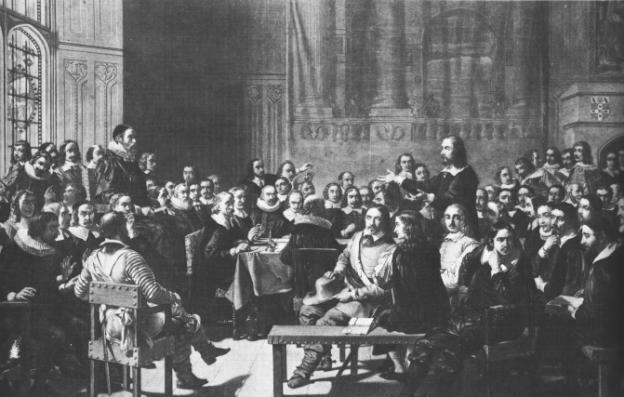 He told us that outside the writing of the Westminster Confession, two other notable historical events occur in that room. 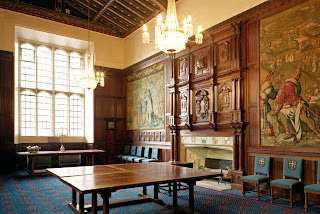 The first is that King Henry the IV had seen a vision saying he would die in Jerusalem, but soon after this vision he died in the Jerusalem Chamber of the house of the Abbot of Westminster in 1413 right next to the fire place. His son King Henry V became king in the same room. 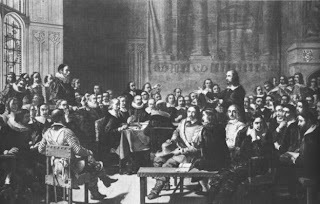 Second, many KJV translating committees met in that room for discussion and work. Being in the chamber was quite an experience. The feeling of history was thick, and considering my theological background, I felt the Westminster Divines walking about. The room was a bit smaller than I had imagined. I own a poster of the famous painting of the Westminster Assembly; and now putting my feet in the room gives the painting a whole new meaning! Finally, this morning as we headed off to the morning service at St. Helen's we took the Underground to the stop. In no way able to outshine yesterday, but just to make the weekend better, Christopher Wright was riding our train. A great day(s) in London!